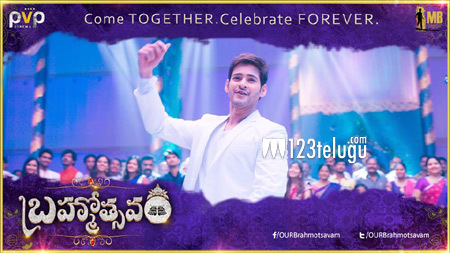 Superstar Mahesh Babu’s Brahmotsavam audio launch will be in Tirupati on May 1st and arrangements are being made by production house PVP Cinema for the same. Directed by Srikanth Addala, the movie has music from Mickey J Meyer. Grand arrangements are being made for the audio launch and PVP Cinema is reportedly hiring Mumbai based sound and lighting experts to handle the audio visuals of the event. Apart from this, giant LCD and LED screens are being sourced, so that fans at the back can view the event comfortably. A source has also informed us that the crew will be getting special bar coded access cards, to control the flow of people around the stage. The film’s shooting is in final stages and a grand release is being planned for end May. Samantha, Kajal and Praneetha are the heroines in this movie.